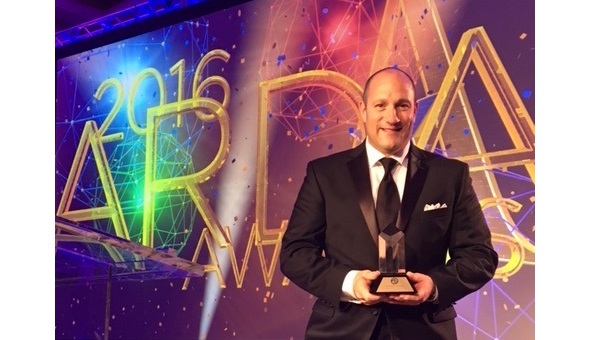 RCI won three awards last night at the American Resort Development Association (ARDA) 2016 Awards Gala Dinner. Among the most prestigious of the accolades is the ACE Spirit of Hospitality Award, which RCI’s own Elizabeth Christeson earned for her outstanding leadership and contributions as an innovative thinker and knowledgeable expert to the business. As the director of RCI’s affiliate reporting and business solutions team in product management and resort operations, Liz and her team are crucial contributors to a variety of initiatives across business relative processes. Her willingness to knowledge-share and enable her team to do great things for the business makes her an invaluable member of the RCI® team.